Acupuncture has been used through Chinese Medicine as far back as 4000 years ago. It is used to treat the person as a whole. It has been accepted within the NHS since 1984. 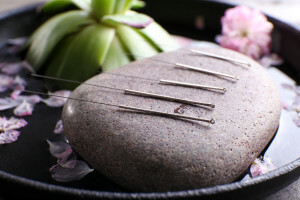 Rodger has trained in both western and traditional acupuncture and feels it complements the conventional physiotherapy well. 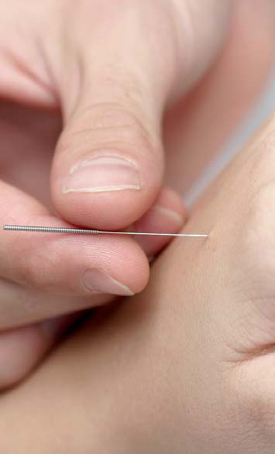 There is a huge volume of good quality evidence supporting the validity of acupuncture for the holistic management of the patient – not just pain control. EEG and blood test studies have shown effects relating to pain, immune and endocrine effects. In accordance with our regulatory body we use only single use, extremely fine, sterile, disposable needles. Salil Das and Perry Cayley are also trained to use western acupuncture dry needling/Trigger point acupuncture as part of their physiotherapy modalities.